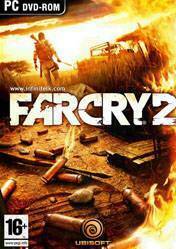 Far Cry 2 is a sequel to the original Far Cry. The game features an open-ended experience. Players are able to ally with one or multiple factions, and to progress through the game world and missions as they see fit, resulting in a nonlinear style of gameplay commonly referred to as sandbox mode that allows the story to progress at their speed and in the order they choose. Players can use a range of vehicles, including cars, trucks, boats and hang gliders, to travel within the 50 km2(19 sq mi) gameplay area. The playing styles range from head-on assaults to stealthy infiltrations and assassinations. The game takes place in a sprawling African landscape, with terrain ranging from desert to savannah to jungle. Various factions and vehicles are featured; enemies include human mercenaries, but sci-fi creatures such as the Trigens from Far Cry are not featured. Furthermore, the player\'s feral abilities introduced in Far Cry Instincts and its expansions do not return in Far Cry 2. There is also a dynamic weather system that has a day-night cycle and different weather conditions such as storms and strong winds. The time of day also affects the behavior of AI, in terms of enemy alertness and aggressiveness; for example, an enemy might have a slightly heightened awareness at night. ummm. gud deal for gud game !! Is Far Cry 2's tech really more advanced than Far Cry 5's?